One of 30A’s most unique and original events, Digital Graffiti returns to Alys Beach for the 11th annual installment of the popular projection art festival. An innovative and dynamic three-day event, Digital Graffiti celebrate the many possibilities found at the intersection of art and architecture. Dozens of digital artist finalists from around the globe will showcase their original work and vie for cash prize awards in a juried art competition. Once darkness falls along scenic Highway 30A, the iconic white walls of Alys Beach’s homes glow with these vibrant original art projections. Friday, May 18th | 8-11:30PM :: Illuminate: Celebrating the 11th Annual Digital Graffiti Festival – Featuring the 2018 projection art installations, food trucks, and vendors along the festival footprint, this opening night street party winds through Alys Beach all the way to Caliza Restaurant—where attendees will be greeted with music, à la carte food + drink options along with fun for the whole family. Saturday, May 19th | 6-8PM :: VIE presents Digital Graffiti + VIE: The Age of Aquarius – The pre-party to Digital Graffiti’s main event Saturday, head to Fonville Press for a celebration of art, music, and architecture. Enjoy digital entertainment, a putting green (with some fun prizes! 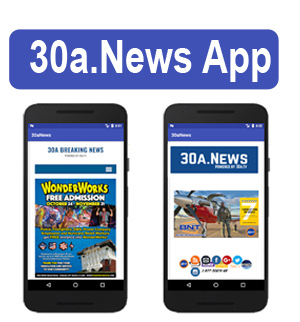 ), music and more. Saturday, May 19th | 8-11:30PM :: Illuminated+ – This 21+ event is an all-inclusive food and drink experience, with stops along the festival’s path featuring samples by local and regional chefs, winemakers, distillers, and breweries. The evening culminates with desserts, spirits, and casual discussions of art around the pool at Caliza Restaurant, which will showcase additional artwork. Sunday, May 20th | 11AM-1PM :: Cheers to another Digital Graffiti Festival in the books! – The closing event of the 11th annual event invites attendees to enjoy a spread of brunch fare and mimosas at Kelly Green. *Tickets are available for individual events or as a weekend pass. For more information on Digital Graffiti and to purchase tickets, CLICK HERE. 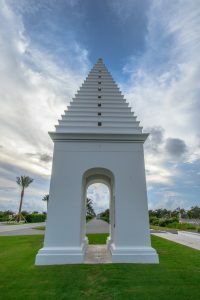 To learn more about the Alys Beach community and search all available properties, CLICK HERE. **Slideshow images courtesy of Digital Graffiti, photo credit: Kurt Lischka. 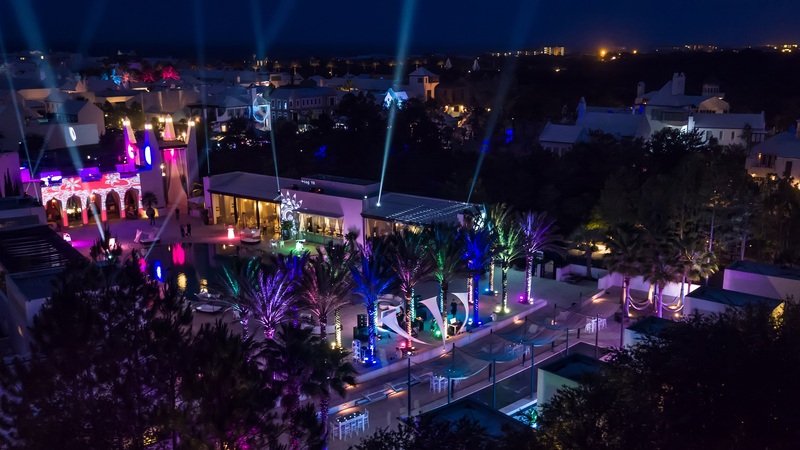 Be the first to comment on "Digital Graffiti Shines Light on Alys Beach"